Every year, Sudbury Synchro athletes join forces to raise money for Breast Cancer. Every cent that is donated goes directly to the Canadian Cancer Society. In the past years, Sudbury, one of the smallest clubs in Ontario, has successfully raised more money than any other synchro club in the province. 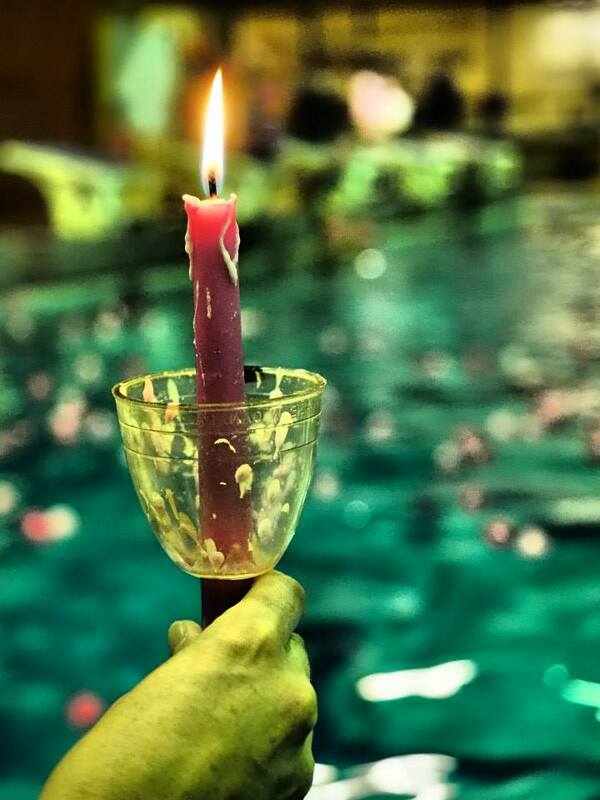 The event consists of synchro athletes relaying a lit candle across the Laurentian University Pool for an hour. This year will be the club's 15th Burning Bright event and we hope to make it the biggest. Last year, the club raised $18 000!!! We track each swimmer’s total donations and the Canadian Cancer Society awards prize packages to any athlete who raises more than $250.00. Athletes can download the donation pledge form by clicking here. In order to raise more funds, various activities have been planned. See below for upcoming events in the Greater City of Sudbury. 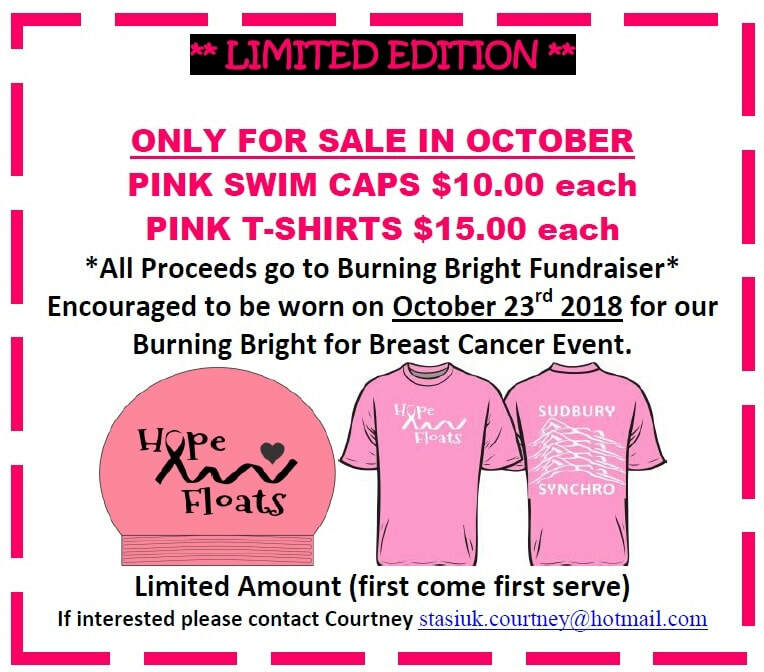 Burning Bright will take place on Tuesday October 23, 2018 at the Laurentian University Pool. As always, this year’s Burning Bright event is dedicated in memory of Myra Gerow, a member of the SSSC family, who lost her battle with breast cancer in July 2011. We also swim in support of those people we know who have battled, are battling and who will battle this disease. Synchro Ontario has established an award to honour Myra’s unwavering support for this cause. The Myra Gerow Award is given to the top fundraising club in the province. On Wednesday October 17, from 5:00 to 8:00, Boston Pizza, 120 Donna Drive, Sudbury, will be donating 10% of proceeds from sales. Make it a Pizza night! On Novemver 2nd, there will be a Porketta Bingo at the Beef'N Bird in Sudbury, 923 Lorne St, Sudbury, ON P3C 4R7. Only 200 tickets for sale. Please contact Chelsea Wandziak at cj_wandziak@hotmail.com if you wish to purchase tickets. (Behind Tim Hortons). By donations only.